DACCO is a community-based treatment center for patients suffering from substance abuse and addictions. Originally founded in 1973, the institute was first established to assist with monitoring, planning, and coordination services related to drug abuse within the local community. Two years later, funding was received, and the institute started to offer their first drug abuse treatment program. DACCO now serves more than 25,000 patients each year and has a mission to create a drug-free world. They offer a number of programs that ultimately help their patients become drug-free and to promote healthier living, while also encouraging the patients to take on a career that will drive them and keep them motivated. One unique aspect about DACCO is that the medical staff and directors believe family stability is an important element in any patient’s road to becoming drug-free, which is why they encourage family members to visit and interact with the patient while admitted to one of the care facilities. 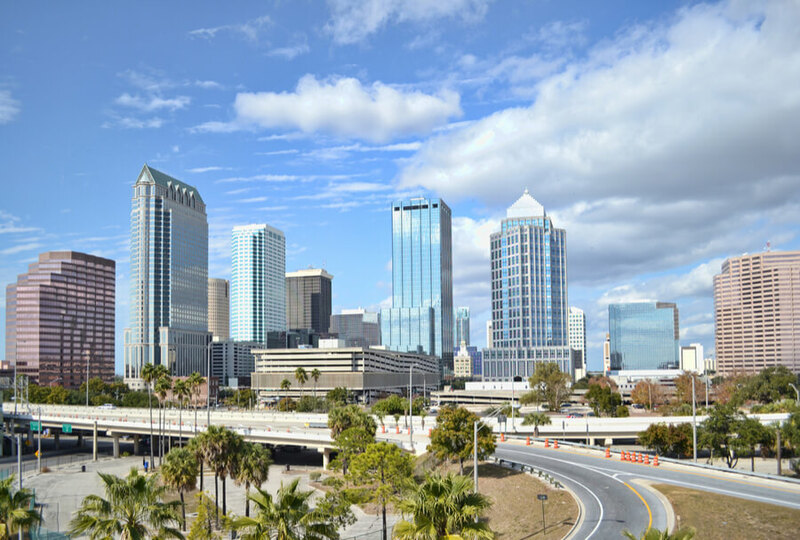 Even though the headquarters of DACCO is situated in Tampa, Florida, the institute has opened up multiple facilities that welcome patients in need of substance abuse treatment. They currently have a total of five centers, each providing specialized care services that perfectly fit into the various treatment programs the institute has to offer their patients. While several outpatient services are provided by this company, DACCO also has a number of inpatients, or residential, programs available that comes with housing. These programs ensure the patient can enter a safe environment while they are detoxing and healing, and while they complete the treatment to help them stop using drugs and alcohol. Other DACCO facilities primarily specialize in outpatient treatments and the dispensing of medication. DACCO has a variety of programs to ensure the patient gains the right type of therapy and other treatments. Patients are screened before treatment to determine their risk and the severity of their addiction. This allows the medical staff at DACCO to know if the patient requires outpatient services, or should rather be signed up for an inpatient treatment program. Even though different programs are available, each patient is individually analyzed, and a specific treatment plan is provided to them that best suits their scenario. The patient may be admitted to one of the residential treatment facilities that the company has made available, or rather be signed up for an outpatient program – which would require the patient to report back for therapy and group sessions, along with other possible treatments, on a regular basis. Programs offered by DACCO are individually designed for men and women. Children are also provided with unique programs that offer them intervention services, along with educational resources that encourage them to stay away from drugs. Apart from treating patients with existing substance abuse problems, DACCO has also established prevention services that help to keep people clean and off drugs. The program is primarily aimed at teaching adolescents about the harmful effects of drugs and how they can avoid being pressured into using these life-threatening substances. Patients who do not have a policy with one of these providers, or not on any type of health care plan, can still utilize the programs offered by this institute. Private payment plans can be arranged that suits the financial status of the patient in order to ensure they can obtain the care they need to succeed and overcome whatever addiction it is that is keeping them down in life. DACCO is a fully accredited and licensed institute that provides services under the supervision of highly trained staff. The institute has been licensed by the Department of Children and Family in the State of Florida. Additionally, the institute also holds an accreditation issued by the Commission on Accreditation of Rehabilitation Facilities. The accreditation by the CARF was awarded to DACCO 18 years ago. Several facilities have been established to provide specialized care for men, women, and children. Separate facilities are also available for pregnant women, as well as women who may recover better with a family present. Experienced staff members are available throughout the day and night at all facilities that offer inpatient care services to ensure patients can obtain assistance whenever they need it. DACCO is a community-driven organization that helps addicts overcome their addictions through different types of substance abuse treatment programs. The company has grown a lot over the last few years and now have three facilities that offer inpatient services, as well as additional facilities for outpatient treatment services. Treatment plans are affordable and can be covered by most major insurance providers in the state.